This award-winning attraction takes you to the heart of the battle action, via interactive exhibits and dramatic film. 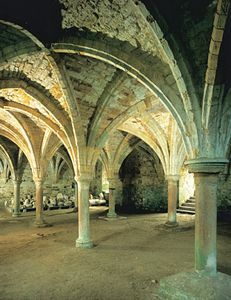 Absorb the atmosphere of the battlefield and the abbey William the Conqueror founded as a penance for the bloodshed. 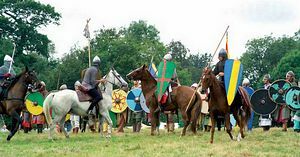 battle, or all the way round the 1066 battlefield itself. An audio tour recreates the sounds of combat, and brings events to life through stories told by its key characters. Explore the haunting ruins of the abbey. Stand on the Harold Stone, marking the position of the abbey's high altar, the very spot where King Harold was killed. Climb the spiral stairs in the gatehouse to the abbey museum, and learn about the lives of the monks who lived here. Get stuck into the exciting indoor exhibition "1066: The Battle for England". Film, computer technology and hands-on interactive displays draw a vivid picture of life in Norman France and Saxon England, and the events leading up to the conflict. This spectacular film narrated by David Starkey, brings to life the politics of the time and the dramatic story of the battle itself. 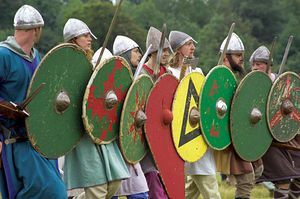 Fun hands-on exhibits allow you to feel the weight of armour and weaponry and find out whether your surname identifies you as a descendant of the Saxons or Normans. 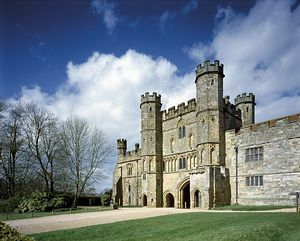 Find out about the exciting programme of events which run throughout the year and free family tours which run at 11.00am during the East Sussex school holidays. Relax with morning coffee, light lunch or afternoon tea in the café, which serves refreshments and meals made with locally sourced produce. Indoor and outdoor seating, both overlooking the medieval gatehouse, make this a favourite vantage point. Autumn and winter visits can be most atmospheric. As the mist rises over the battlefield and the sun drops low in the sky, it is not difficult to imagine you are back in 1066. After your visit, take time to browse in the shop for 1066 themed souvenirs, unusual gifts and plants. Spend a pleasant afternoon in Battle town: it has a Town Trail, museum, plenty of antique shops, and hosts regular events and farmers' markets. From Battle you can take the '1066 Walk' to Pevensey Castle (one of Britain's oldest strongholds) where William first landed before moving to Hastings.